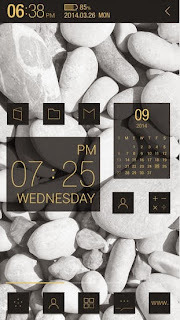 A trendy minimalitic launcher for your android phone or tablet. 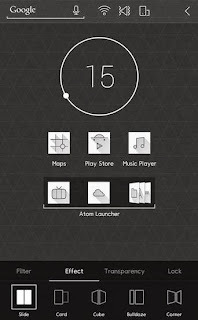 Atom Launcher 2.1.1, apk available for download below, is what you need for speed. - Icon Customization: Mix and match icons and gallery images among themes. - Point Color Change: The color of Atom bar, menu icon, and guideline can be changed with color picker. - Home Screen Copy: Bring the home screen you have set up in another launcher over to Atom Launcher. - Hiding Apps: Hiding the installed applications. (When you search the apps on All Apps, hidden apps can be found). - Sliding up/down gesture feature on Atom bar, home screen and dock bar. - Atom Menu provides Atom’s various menus as icons. If you need speed combined with modern designs you should check out S Launcher Prime (Galaxy S5 Launcher).